Skip Martin posted up a pic of a blending sample for an upcoming cigar celebrating Esteban’s 25 years in tobacco….Esteban is his right hand man in the Nicaraguan operation, managing much of the day-to-day operations. AVO is freshening up a bit. They will be rebranding the whole lineup in early 2015. New packaging, new boxes, and the elimination of the Signature & Maduro lines (buy ‘em up if you like ‘em). Finally, we’ll see price drops of $.10 to $2.40 per stick. I personally have wondered what’s going on with the lineup, after seeing countless “blow-out deals” on this year’s LE, and just this week my local has the AVO Greatest Hits sampler (all the LE’s but one) on clearance for $126.95 (orig price = $194.95). I don’t think I’ve seen any taken from the stack they initially received…. Finally, we talked a bit about this year’s “Top ? ?” lists from various sources….some interesting things going on there. Our extra-curricular smoking this week was fairly subdued, with only a couple entries from Craig (Padron Aniversario 1964 Principe and the Herrera Esteli Norteño) and one from me (La Tradicion Cubana Reserva Familiar). We also gave a bit of attention to ongoing changes with the website and forum. We covered one email this week, from Officer Paul…tune in to get the details on that. 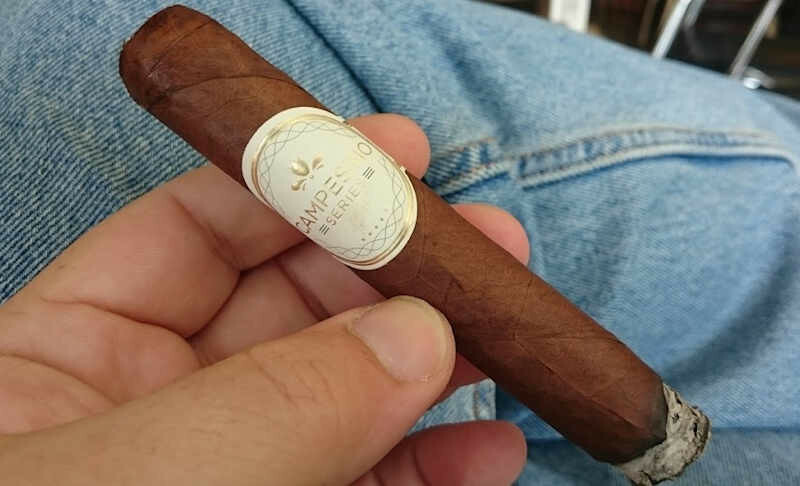 In the next episode we will be featuring the illusione Fume D’Amour, so be sure to check back in Friday night at 9:30pm EST on halfashed.com where you can catch us recording and participate in the new and much improved chatroom. If you would like to contact us in the meantime, you can reach us through the contact page or at the following emails: [email protected] or [email protected] Please feel free to drop us a line if you have any questions you’d like answered, comments to make…or even compliments and complaints. We love to get your emails! Also, remember you can always go back and listen to previous episodes, which can be found in the Half Ashed Archive. You can download this week’s audio directly below (right-click “Download” and save), find us on iTunes, or subscribe with any podcast app at our RSS Feed. Video, as always, will be available at the Half Ashed YouTube Channel. 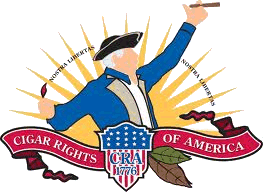 In the news, we cover stories from our friends at La Tradicion Cubana and TL Johnson, some interesting survey stats from CigarSense (Craig was not a fan…), CAO, Viva Republica, and a legislative update from Nebraska. We also kick around some talk about a new study beginning to filter out from FDA. As always, we also covered a few of the cigars we’ve enjoyed this week and wrapped up some further improvements that have been made for the Half Ashed site. In the next episode we will be featuring one of Craig’s favorites, so be sure to check back in Friday night at 9:30pm EST on halfashed.com where you can catch us recording and participate in the new and much improved chatroom. If you would like to contact us in the meantime, you can reach us through the contact page or at the following emails: [email protected] or [email protected] Please feel free to drop us a line if you have any questions you’d like answered, comments to make…or even compliments and complaints. We love to get your emails! Also, remember you can always go back and listen to previous episodes, which can be found in the Half Ashed Archive. You can download this week’s audio directly below (right-click “Download” and save), find us on iTunes, or subscribe with any podcast app at our RSS Feed. Video, as always, will be available at the Half Ashed YouTube Channel. 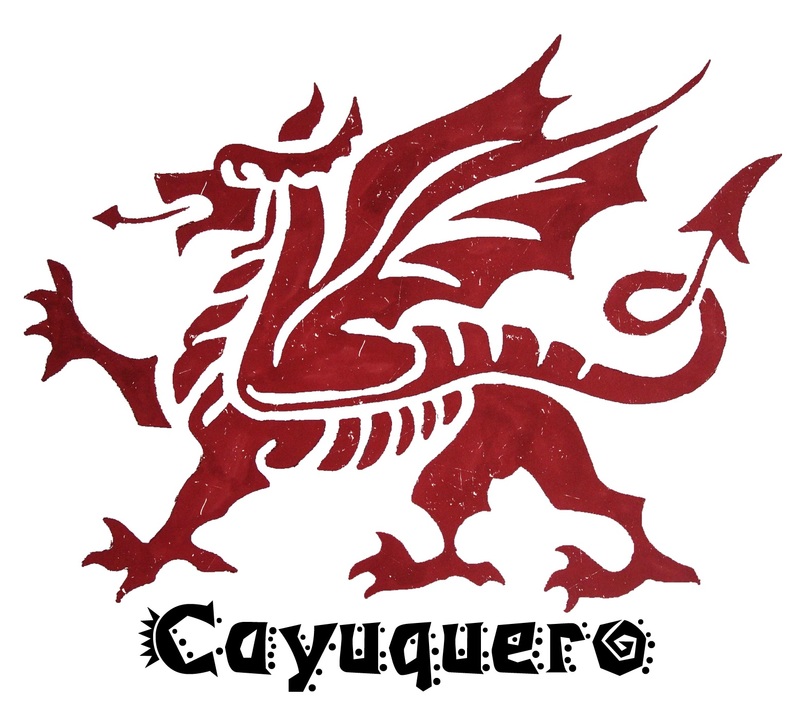 [NOTE: I’m a little late with this, and we talked about it at length on last week’s Half Ashed, but here’s a new cigar headed down the pike that I think you ought to check out…. 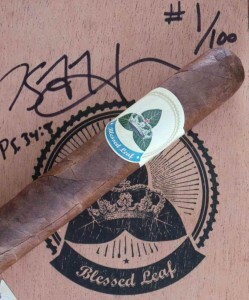 Kyle Hoover and Chris Kelly, the leaders of BlessedLeaf.com, a Christian cigar-based ministry, announce the release of the long anticipated Blessed Leaf Kairos. “This is a project that has been in our hearts for over a year. Our vision was to produce a great cigar with vintage tobaccos and have the proceeds go to ministry and missions efforts.” noted Kyle Hoover. 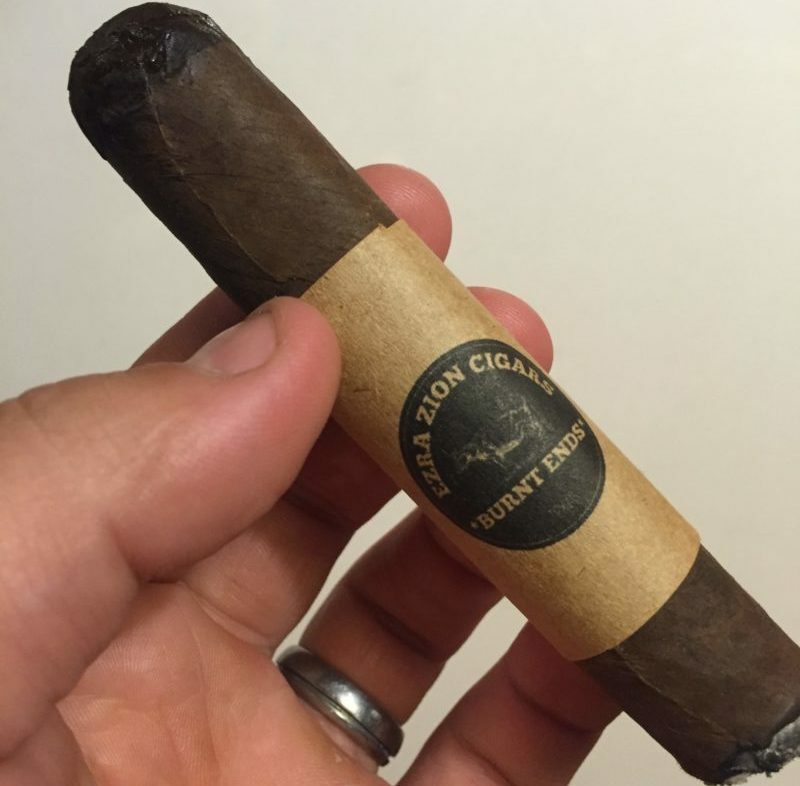 “For this project, we went back to our roots: Nicaraguan tobacco This is a Nicaraguan puro in the Ezra Zion genre of blending. Since we are doing this for The Lord, it had to be the best work we could possibly do ” added Chris Kelly. The Blessed Leaf Kairos is a 52 x 6.25 box press. The wrapper is Corojo 99 Rosado. The ﬁller includes ligeros from Esteli and Jalapa. Total production is 4000 cigars of 100 boxes and 5 packs. The Blessed Leaf Kairos is produced at the Casa Fernandez factory in Miami, Florida. “We chose the name Kairos because of it’s unique meaning to this project. Kairos is deﬁned as a speciﬁc moment in time when the Divine intervenes directly into your life. To us, there is a duel application. Obviously, as a person smokes the cigar they will have a “heavenly” smoking experience. Secondly, that the support raised for Christian missions will impact people’s lives with the gospel of Christ.” added Hoover. 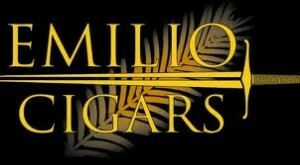 The Blessed Leaf Kairos will be available for pre-order on BlessedLeaf.com and CigarFederation.com. The ofﬁcial launch herf will be on April 2 on BlessedLeaf.com. Hello again and welcome to Episode 058 of Half Ashed. 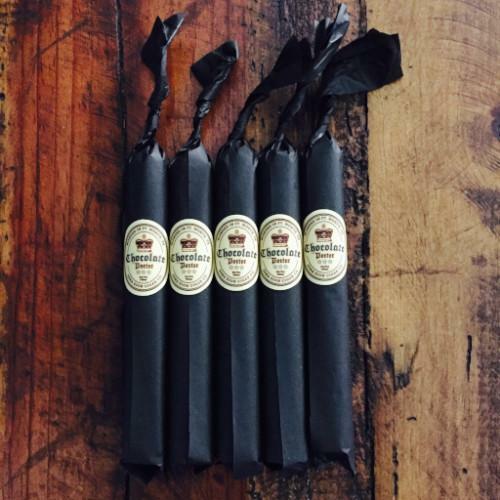 This week, we’re smoking an Unbanded – #013, supplied by Jacob Pinkas. We had quite a big of technical difficulties, but I have edited as much of those snafus out as possible. Please forgive that. In cigar news, we talked over items from Skip Martin, Eddie Ortega, Miami Cigar/Viva Republic, Blessed Leaf, Paul Stulac, and Tatuaje. We also kicked around one legislative story. We also covered what we’ve been smoking, and some listener comments. So kick back with a cigar and join us. Thanks for listening! Next week, our Cigar of the Week has yet to be determined. 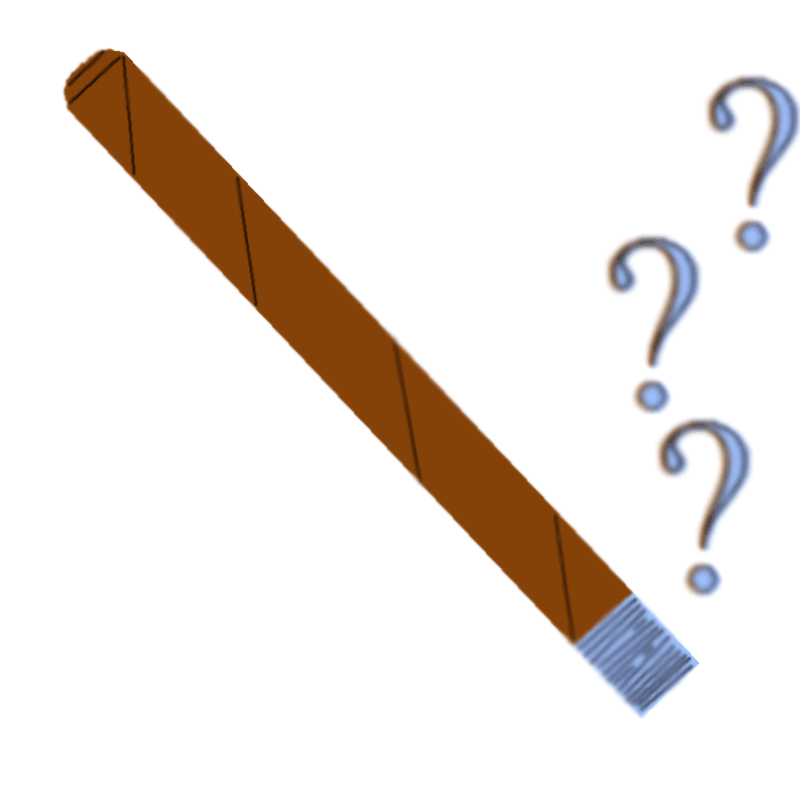 As always, we’re constantly looking for suggestions about potential Cigars of the Week, and Unbanded cigars. So if you have one drop us a line at one of the email addresses below. Be sure to check back in next Friday night at 9:30pm EST at Cigar Federation (details on locating the show will be on the front page that evening an hour before showtime), where you can catch us recording and participate in the chatroom. If you would like to contact us in the meantime, you can reach us through the contact page or at the following email addresses: [email protected] or [email protected] Please feel free to drop us a line if you have any questions you’d like answered, comments to make…or even compliments and complaints. We love to get your emails! Also, remember you can always go back and listen to previous episodes, which can be found in the Half Ashed Archive. You can download this week’s audio directly below (right-click “Download” and save), or find us on iTunes to subscribe. Video, as always, will be available at the CigFed Half Ashed Video Archive. Welcome back! Craig and I were both recuperating from illness last week, so after making the first 46 in a row we had to miss an episode. But, we’re back this week, smoking the Cabaiguan Maduro as our Cigar of the Week. This is one of Craig’s favorites, but tune in and see how well his palate has recovered after two weeks of healing. In the news this week ,we covered stories from 1502 Cigars, General Cigar’s new collaboration with Jay-Z, Ezra Zion, and Quesada. We also talked over an article from the UK Telegraph which speculated that cigar smoking as a whole could die off within the next 12 years. We did go ahead and talk over what we’ve been smoking – which amounts to very little with the recent illnesses. What we did discuss some was how we observed the evolution of a palate back to a normal state. Surprisingly, this has taken me far longer than I would have ever dreamed. A full 9 days after I felt healthy, I am still experiencing some difference between expectation and reality in cigars with which I am quite familiar. Additionally, we editorialized over a couple of recent observations I’ve made about the industry in general. 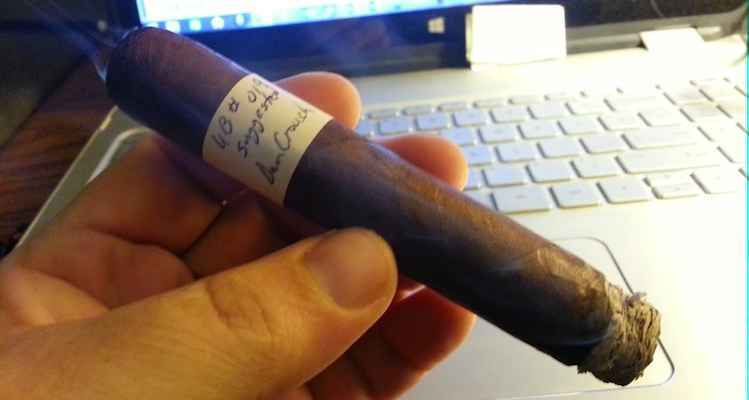 Lastly, we made up ground from last week and announced each of our favorite 10 cigars from 2013 – with some caveats. It’s our list, so we get to make the rules :). 1. These are not necessarily new cigars for the year (although some were), but the cigars we simply enjoyed the most throughout. 2. 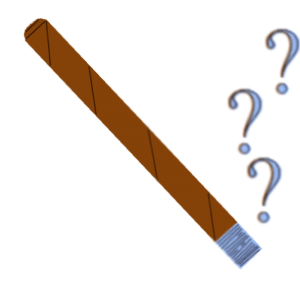 We limited the selection to cigars that were either Cigars of the Week for Half Ashed Episodes, or were discussed enough to have been made mention in the show notes. If we did not talk about it during at least one episode, it was not considered for our lists. 3. I (Kip) purposefully removed the Fuente cigars we smoked (858 Sungrown, Unnamed Reserve (2012), and Casa Cuba) from consideration out of my known affinity (sheer bias) for Fuente products. Next week’s Cigar of The Week will be a surprise, as we are nearing the end of our initial trade-off for show cigars. We are open for suggestions – so if you have one drop us a line at one of the email addresses below. Be sure to check back in next Friday night at 9:30pm EST at Cigar Federation (details on locating the show will be on the front page that evening an hour before showtime), where you can catch us recording and participate in the chatroom. If you would like to contact us in the meantime, you can reach us through the contact page or at the following email addresses: [email protected] or [email protected] Please feel free to drop us a line if you have any questions you’d like answered, comments to make…or even compliments and complaints. We love to get your emails! Also, remember you can always go back and listen to previous episodes, which can be found in the Half Ashed Archive. You can download this week’s audio directly below (right-click “Download” and save), or find us on iTunes to subscribe. Video, as always, will be available at the CigFed Half Ashed Video Archive.